Hello again, I have taken a little break… ok, a BIG break. 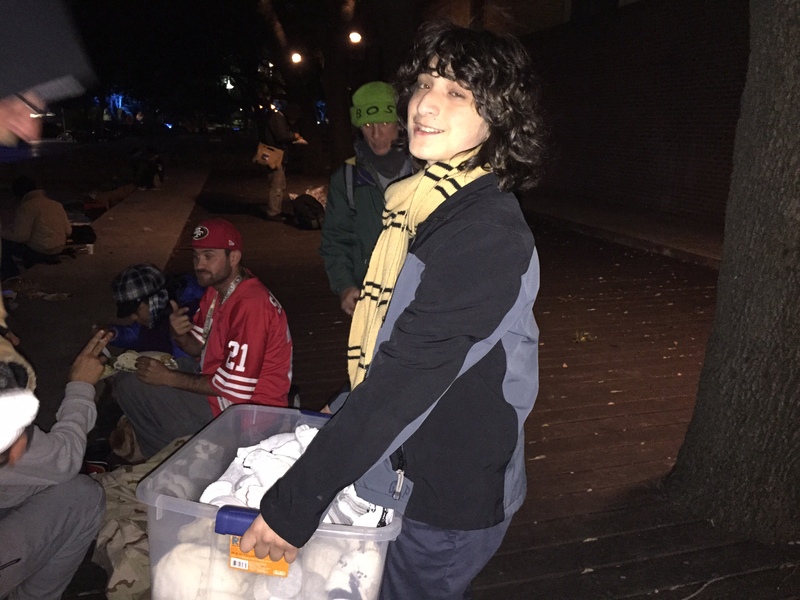 After my Bar Mitzvah, which was a year ago, I stopped collecting socks and focused my time on giving them out for a while. Now, I have a couple of bags, filled with socks, left. I still help out at Food Not Bombs. Now I am ready to launch “1,000 Socks 2.0”. I will try to collect more socks, with more boxes, go to more places to give them out to more people. Yes, that is a lot, but I am up for it. It is our responsibility to help more people and “repair the world”. The big day already passed!